There are certain people in the world who go to great lengths to see and experience things others cannot. Dan Elster is one of these individuals and he has forged his own way into the world of nature and wildlife photography. Over the past 12 years our community has watched him evolve. We have followed his exploits and celebrated his victories. 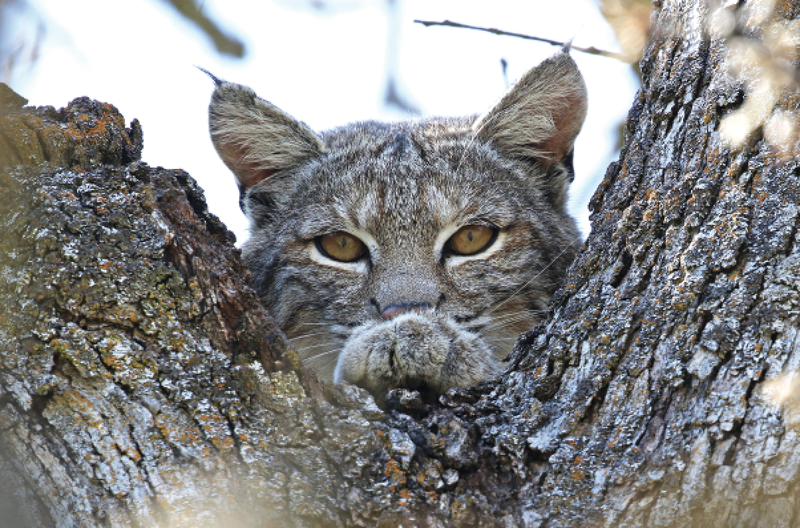 One such victory came recently with Dan’s capturing of the elusive bobcat. He finally got the shot and when I opened the email, I was not only excited for Dan, but I also knew his work and spirit for adventure must be shared with the great community at large. In today’s interview, I speak with Dan about his passion for life, art, and the natural world. Dan, thanks so much for taking the time to speak with us today and for the work you do. My pleasure Shields! I enjoy LocalsGuide and am thrilled to be featured. Thanks for having me. Dan, your life as a wildlife photographer keeps you continually living outside the box. What do you enjoy most about your work? The most enjoyable part of my work is meeting animals in the wild – where they live and on their terms. I’ve seen so many things that most people will never see. It’s a privilege to hang out with a great horned owl for a couple of hours. It’s a privilege to have a coyote trot towards you instead of running like hell away from you! I have so many memories and experiences with creatures, many of which I can’t explain. I also enjoy the business end of my work. Being an entrepreneur can be stressful, but ultimately, it’s very satisfying. Beyond the image making, I’m in charge of the marketing, writing, bookkeeping, event planning, most of the graphic design…everything! I love it. Where are you pulling your inspiration from and what determines the current subject matter you are interested in capturing? My inspiration comes from the wild. In nature, every day is a struggle just to survive. This is the story that I love to tell. My subject matter is always changing. Sometimes it’s about the season. In the winter, I know raptor populations explode in the Klamath Basin. In the spring, I know reptiles emerge from hibernation. 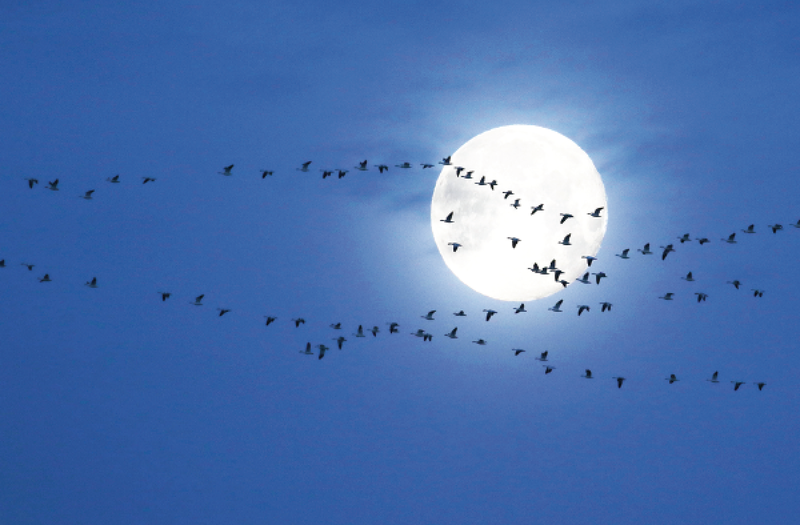 Summer brings pelicans and osprey to the coast. In the fall, deer and elk are in the rut. There is always something going on! Tell us about your recent photograph of the bobcat. How long have you been waiting for this shot? Depending on how you look at it, the bobcat has taken me ten years, several weeks, or an hour to capture. I’ve had several brief encounters with bobcats over the years. Every experience with one has made me crave the next one more. Until now, my only images of bobcats have been bad ones! Recently, I’ve been given access to land where there have been a handful of bobcat sightings. I’ve been there a few times this spring, with no luck. A few weeks ago, I got a phone call from the land manager saying her dog had spooked a bobcat into a tree. It was a massive inconvenience to my wife and kids, but I dropped everything to go see for myself. The entire way there, I was having mixed emotions, envisioning a stressed-out bobcat with a rabid dog, growling and barking from the bottom of the tree. When I arrived, it was nothing like that. The cat was sleeping, and the dog was nowhere to be found. I made a very quiet approach, it slowly opened its eyes, I took a bunch of photos and then … it went back to sleep! Even though it seemed very comfortable with my presence, I was only there about fifteen minutes. This is a very atypical backstory to a photograph for me. Very few, if any of my images are the result of a phone call! Dan you are entirely self-trained as a wildlife photographer. What differentiates your work from others and sets you apart from the pack? Other than reading some articles and studying the work of a few photographers, I am entirely self-taught. I used to think this was a bad thing, but now I think it works to my advantage. My compositions are oftentimes not ‘correct’ in a textbook sort of way. I love using natural light in unorthodox ways. Some of my best images aren’t the typical ‘pretty nature photos’. They are quirky, unusual, even humorous. I don’t want my work to look like others and when someone tells me that there is something ‘different’ about my photographs, I take it as a huge compliment. Many of my favorite artists, musicians, and writers have minimal formal training, so I no longer feel the need to learn from so called experts, I’ll keep learning from trial and error. Your life path and work is an inspiration to many. What words of advice do you like to share with young people when you are out teaching or lecturing? I love doing presentations for area schools, kindergarten through college. 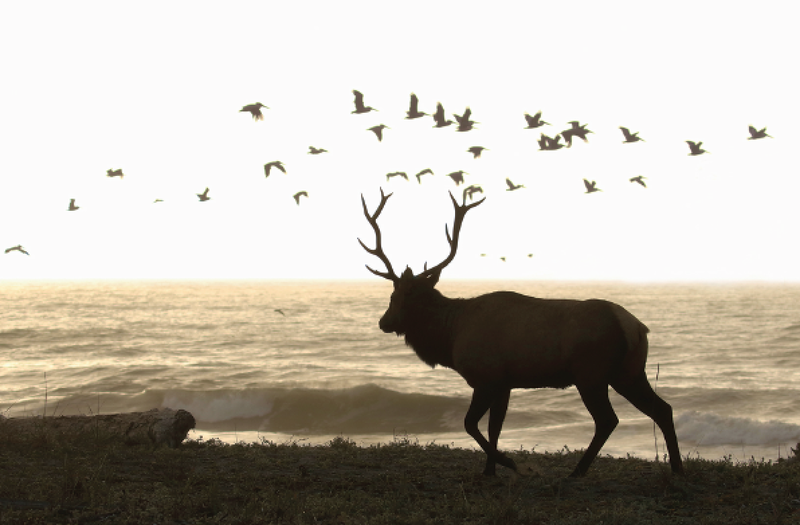 Obviously, my talks revolve around Oregon wildlife, photography etc. But if someone asks the right question or a teacher asks me to touch on the subject, I encourage students to find something they are passionate about, learn about it and then go do it! When I look at my career path from an outsider’s perspective, it seems so far-fetched, almost impossible. Fifteen years ago, I was working in the family business: a food distribution business on the west side of Chicago. I grew to hate going to work, but it felt like I was doing what I was “supposed to do”. My other advice would be to surround yourself with people who support your dreams and aspirations. Wildlife conservation is a huge topic of importance for you. Please talk more about this and how we as a community can play a role in helping to preserve what we have for future generations. I wish more people would take the time to think about how intricate, beautiful and awesome the natural world is, and stop taking it all for granted. Some wildlife conservation subjects are obvious. Spotted owls need old – growth forest to live, so let’s protect what little old growth we have left…Steelhead need clean cold rivers to spawn in, so let’s protect our waterways…But even common creatures deserve our reverence and respect. 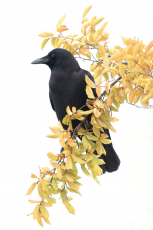 Crows are one of the most intelligent and fascinating creatures on the planet. Some species of sparrow migrate hundreds, even thousands of miles to visit your backyard feeder. Rattlesnakes fear you much more than you fear them. If people took the time to think about these things, maybe they would take steps to do less harm. Small stuff: keep cats inside, stop using some pesticides, keeping a dog on a leash in certain areas. I fear that endangered species will someday not exist and common species will someday not be so common. Dan, more and more you are utilizing the power of story to take the audience behind the scenes with your work. Can you share some recent stories with us? My photographs all have stories. One of my new favorite images is of a small group of Tundra Swans in a wetland. I came upon this scene exactly at sunrise. The light was exquisite. There was subtle mist rising from the water and one swan drifted into a perfect little gap in the reeds. I clicked the shutter. Then it was over. 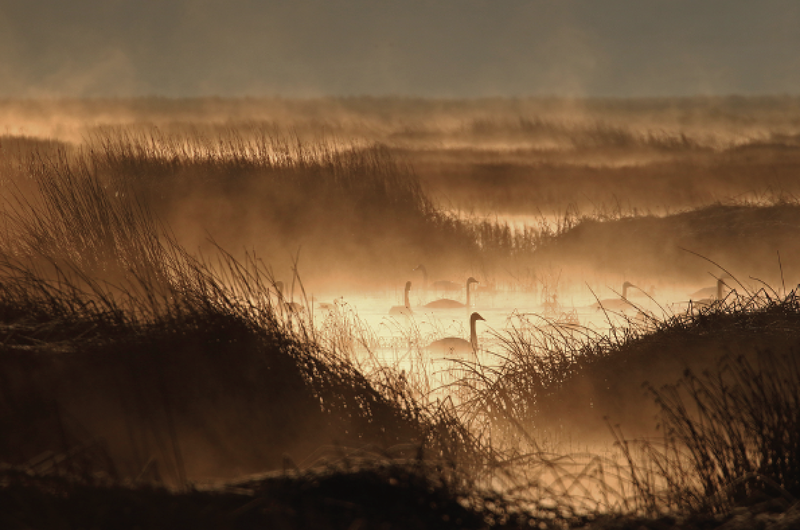 Within a minute or two, the light became harsh, the swans moved on and the mist burnt off “The Moment” was over. Moments in nature are always so fleeting. The title of new image is “Smoke on the Water”. Now that you have captured the bobcat, what is next on your bucket list to photograph? Bears: I have photos of bears, but they all feel like snapshots that don’t appeal to the artist in me. Wolves: specifically, our wolves in southern Oregon. Mountain lions: I’ve never seen one in the wild. Also Saw Whet Owls, Long Eared Owls, any owl I haven’t photographed! People ask me about Africa, Costa Rica, the Galapagos, etc. I’d love to go to these places, but for now, my real passion is our wildlife. For those who might not know, please tell us where we can view and purchase your work? The best places to see my work are my website: www.elsterphotography.com and The Lithia Artisan’s Market on Calle Guanajuato in downtown Ashland. I’m there most weekends: April thru October. I always have a large selection of prints, cards and large limited edition framed pieces for sale there. I have ever changing and ongoing shows at Liquid Assets Wine Bar and The Photographer’s Gallery in the Ashland Art Center. The Northwest Nature Shop carries my greeting cards and Designer Framing in Medford has several custom framed pieces for sale. You can also follow me on Facebook and Instagram. What do you see gets your audience excited about your work? What type of comments and discussions are you hearing and having in the Artisan’s Market? People get excited to see what’s new. Over the years, both locals and tourists pop in to see what I’ve been up to. I think my images, booth, writing and presentation have all evolved over time and visitors to the market notice. I’m eternally grateful for the Lithia Artisan’s Market. Becoming a member twelve years ago was a game changer for my career. Dan you have recently setup an account on the very unique website called Patreon. Please tell us about this venture and how we, as a community, can get behind supporting your work and adventures? Patreon is a new concept for me. It’s almost like subscribing to Elster Photography. There are several different ‘tiers’ for Patrons. For just a couple of dollars a month, a Patron will get much more of the behind the scenes type stuff of being a wildlife photographer: both behind the lens and the business end of it all. For $12 a month, a Patron will receive an archival quality, handmade, signed greeting card once a month. Cards are collectable and perfect for framing! Subscribe to the highest ‘tier’ and I’ll take you on a wildlife adventure! Nobody follows a dream without lots of help and support along the way. I have too many friends to name. My family back in Chicago. A list of local businesses would start with: The Northwest Nature Shop, Advanced Photo, Designer Framing, Liquid Assets Wine Bar, The Ashland Art Center, and of course, the LocalsGuide!The Lithia Artisans Market and the eclectic collection of artists found there are like family to me.My kids: Savannah and Forest for going on long, boring and unsuccessful wildlife adventures. Most of all, I want to thank my wife Patty. My first camera was a gift from her. She supported my dream when it seemed impossible. Even now, I’ll sometimes question my path, but she always picks me up. I’m not sure where I’d be without her.